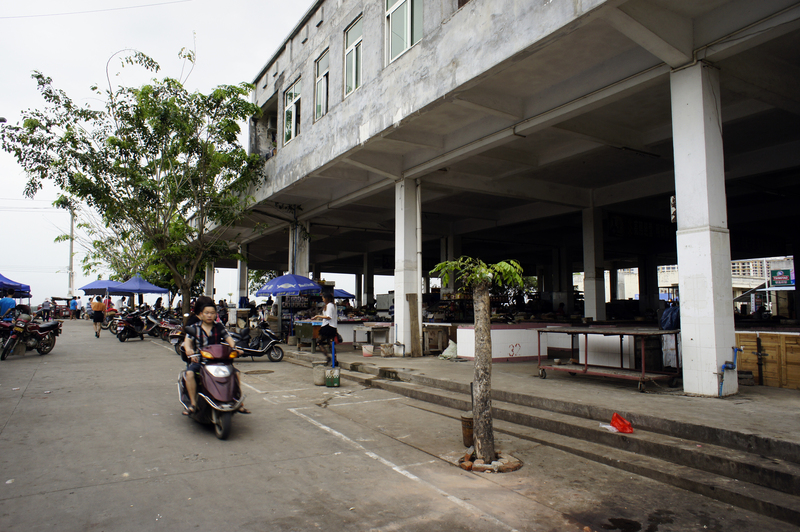 The roads were newly laid out between the airport at Haikou and Bo’ao and I was travelling alongside last-minute construction adjustments. I can only hope that it might have been anything to do that led to the eventual European ban on discarding fish -a game of the quota system fishermen play to maximise the sales profit by throwing away any smaller catch. This would have worked in theory, allowing smaller fish to get bigger makes sense, but as I started to research I realised that most of the discards are dead or so at the brink of death that releasing into the sea would not save them. This is the woman that survived World War II, starvation and spent most of her life without a fridge in a non-costal city in the middle of China. In fact, I saw her first ever fridge, a classic green well-designed utility symbol of my childhood… in her new apartment. Her living habits has not changed much. She hardly has fish. There was no way her lifetime mercury dosage could be half as high as my trout-gobbling diet but there she was, consuming so much fish, in the form of transparent, gelatinous capsules of packaged fish oils that she was having to worry about mercury overload. That’s when it struck me the conflicting tension between ecology and health caused by distance. In the egalitarian 21st Century we praise the increase in the health and dietary benefits of those with access, at the great sacrifice to the marine ecology. The Bo’ao fishermen, whose are trying to keep up with the vast change in our technologies, tastes and lifestyles experience for a week what it’s like for their sleepy village to be transformed to a touristic coast. It’s a clash of decisions, a limbo of lifestyles and a contrast in our beliefs. For now, it’s just the odd the stranded officials. The helplessness in this dilemma between the demand for fish and its weight on the ecology is highlighted by the go-to for all unanswerable problems: incentives for data-collection. Fishermen that install a CCTV camera on their boats will receive a greater quota. As I imagine some guy sipping coffee and exchanging his multi-screens of garage doors loading from vans to fishermen loading from the sea, I cannot fail to see the ironic clichés between freedom and control. Our culture of urban surveillance is spreading towards the sea. This political voyeurism fuelled by our hopes and fears of technology is really a cryogenic reliance on the future. The refrigeration of a very fishy problem.